Yorkshire, UK – The Labour Party has called for a public inquiry into grouse shooting, following growing pressure from regional MPs who are backing a ban. The move has been strongly welcomed by campaigners, Ban Bloodsports on Yorkshire’s Moors. The Labour Party and Shadow Secretary of State for Environment, Food & Rural Affairs, Sue Hayman MP, have called for a public inquiry into grouse shooting this evening , citing the negative impact the practice has on wildlife, habitat, tourism and the regional economy. The move comes amid some of the region’s most prominent Labour MPs, including Alex Sobel (Leeds North West), Barry Sheerman (Huddersfield), Judith Cummins (Bradford South) and Naz Shah (Bradford East), backing a ban on the practice. Ban Bloodsports on Yorkshire’s Moors (BBYM), which earlier this year persuaded Labour-controlled Bradford Council to end grouse shooting on iconic Ilkley Moor, has strongly welcomed the move. BBYM further commends the recognition of simulated grouse shooting as an economic model for upland estates across the region and its potential to remove damage to wildlife, the environment and regional economy which comes part and parcel with its game-bird shooting counterpart. Luke Steele, Spokesperson for BBYM, says: “The Shadow Secretary of State must be commended in the highest of terms for committing the Labour Party, the second largest political party in Westminster, to supporting a public inquiry into grouse shooting and recognising the considerable toll on wildlife, environment and regional economy which comes with the practice remaining legal. “As we have seen this Glorious Twelfth, grouse shooting is so unsustainable that something as simple as a change in weather can result in the industry falling apart and all purported economic advantages lost. 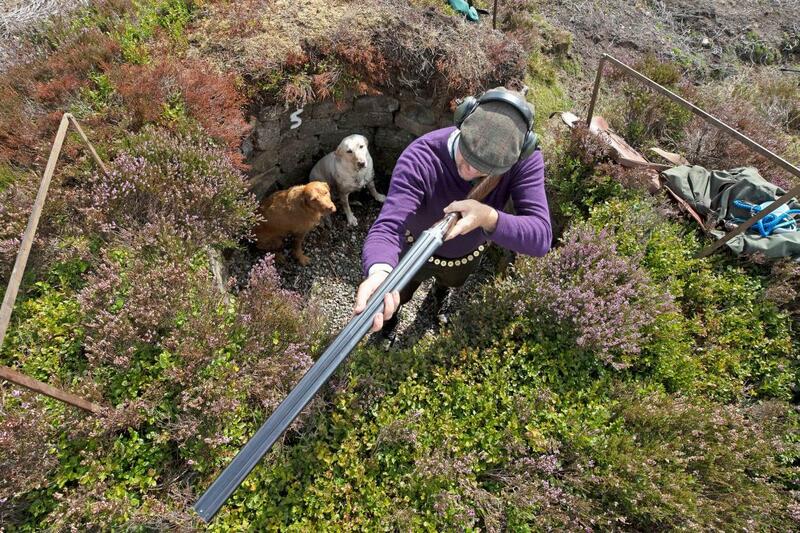 Simulated grouse shooting, which replicates traditional grouse shooting in every way, except the guns are firing at clay disks hurtling through the air, proves a reliable replacement for the uplands, with considerable economic and employment potential.